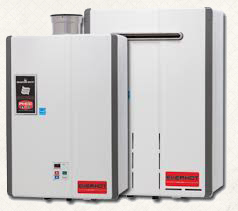 Advantage Plumbing understands how important your home or office hot water heater is. We also understand what an inconvenience it can be if it experiences any problems. If your water heater goes out, how will you wash dishes, bathe,or even wash clothes? If it is in your business water heater problems could result in serious violations and health risks to your loyal customers and employees. That is why when you call Advantage Plumbing we will come out and diagnosis the situation with your hot water heater and offer you the best solutions for your home or business. 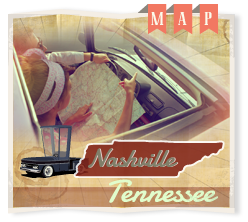 Our technicians are highly trained in all the latest technology in available hot water heaters. 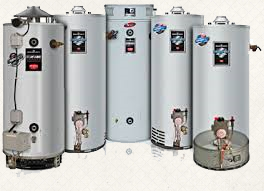 We will help you determine what size and type hot water heater is the best for your family, or commercial services. We offer a 100% customer satisfaction guarantee, with a written warranty on all water heaters. We stand behind our work and the quality of the hot water heaters we provide. A typical hot water heater generally lasts only 7-10 years, depending on the type, quality of the craftsmanship, yearly maintenance,water usage, water quality and average temperature it is maintained at. This is the most commonly used type of water heater. These come in a variety of gallon sizes. They store the hot water in a tank and maintain the desired temperature. There are more energy efficent models, but these still consistently use more energy due to constantly maintaining the temperature of the water. These generally last 7-10 years depending on the yearly maintenance, water quality, tempertuare, and quality of the water heater itself. These units are considered more energy efficent due to there is no stored water to maintain the temperature of. Most customers do not mind the short delay in hot water, due to the fact it heats the water as needed, Considering you have an endless supply. They typically lower your energy bill by as much as 30%. They require less space for installation, due to some models can even be installed outside. One down side can be up front cost due to some models require a larger gas supply, electrical circuits, and special venting. Generally these hot water heaters last 10-15 years if maintained properly. These are considered more efficient due to the fact it uses about 60% less energy. This application combine the conventional storage tank with a heat pump that extracts heat from the ambient air and transfers it into the water. Since there is a storage tank there is no delay in the hot water. Installation uses existing water and electrical connections. Generally these hot water heaters last 10-15 years if properly maintained. Advantage Plumbing does insists on yearly hot water heater maintance due to the fact flushing it once a year helps reduce the sediment that builds up in the bottom of your water heater. As the sediment builds up it actually can block the drain valve, then if you do incur a problem the unit cannot be drained. Sediment can also stick to the elements and cause them to fail. Obiviously by flusing the unit once a year you can see how this can extend the life, and lower costly repair situations. Also if you have us do your routine maintence then we do a complete diagnostics check of the unit. From the electrical to the burner assembly in gas applications. A recirculation system keeps hot water flowing through the hot water lines at all times. This does away with the need to wait for the hot water to arrive at the desired fixtue. Helping you to conserve water by not having so much wasted. We also can install thermostatically controlled pumps that will maintain a desired temperature so it doesn’t run constantly. We even have programmable models that you can actually program to only maintain temperature in the pipes while you are at home. This means to start before you wake and stop when you leave for work, then restart in time before you are to arrive home and to stop after you go to bed. This saves not only on the water waste but on energy consumption as well. These help to regulate the water pressure coming into your home when it is above the regulation PSI. If the incoming water is too high it can cause burst pipes, blown hot water heaters, even faucets to leak or burst. Always remember lower the temperature on your hot water heater wll reduce energy consumption. Always use vacation mode if you will be gone for an extended time, also shut off water supplies just in case. Always do yearly maintenance, this will extend the life of your hot water heater, help lower energy cost, and reduce repair cost.